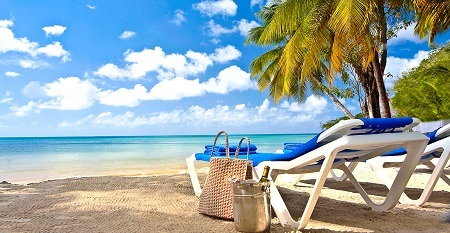 Luxury All Inclusive St. James's Club Morgan Bay in Saint Lucia, West Indies! Bid Per Person Per Night & Choose Your Length of Stay! in Saint Lucia, West Indies! 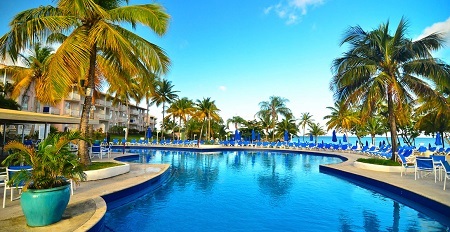 St. James's Club Morgan Bay is a vibrant, colorful and refreshingly casual All-Inclusive resort in Saint Lucia. Distinguished by its romantic beachfront setting just minutes from the world-class Rodney Bay Marina, Cap Estate Golf Course, and capital city of Castries, St. James’s Club Morgan Bay offers relaxation, romance and a hint of adventure. 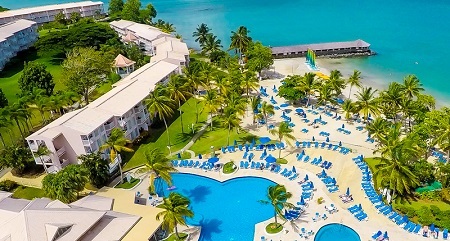 The perfect vacation destination for families, couples or weddings, this resort offers a host of beachfront fun and relaxation for everyone. Not included off-site tours and excursions. 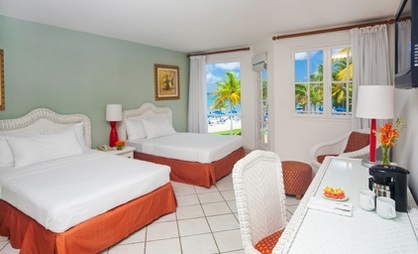 A world of comfort and amenities awaits you at St. James's Club Morgan Bay. With four pools, six restaurants and bars, and an incredible collection of All-Inclusive activities, our guests are never low on options. Whether you’re looking to have a day on the beach basking in the St. Lucian sun, or you’d like to be a little more active, we’ve got you covered. With everything from Hobie-Cat sailing to tennis, and a variety of island tours, you’re free to create your own authentic vacation experience. 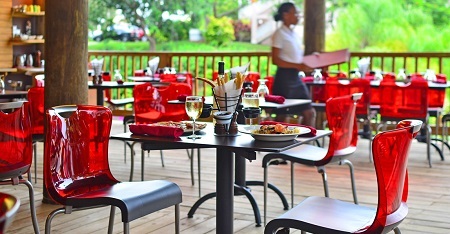 St. James's Club Morgan Bay offers six distinct restaurants, each serving up a delicious mix of Caribbean dishes and international favorites. Tranquility Body & Soul Spa is located in an all-new peaceful hillside setting offering tranquil water views of the Caribbean Sea. Treatments include an aromatic salt glow scrub, reflexology treatments, a spa tranquility well-being massage, aromatherapy massage, deep cleansing facials, and detox seaweed wraps. Tranquility Body & Soul Spa uses Pevonia Botanica products. 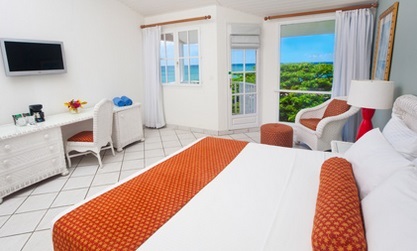 All rooms include air conditioning, private bathroom with tub/shower, safety deposit box, hairdryer, direct dial telephone, tea/coffee maker, iron/ironing board, satellite TV and beach towels. Complimentary WiFi Internet access is available in the Lobby and Sunset Lounge, and is available for purchase in the Deluxe Ocean View Rooms, and the One-Bedroom Ocean and Garden View Suites. All rooms are non-smoking. Offer is based on a Double Occupancy in a Ocean View Room. Upgrade to Premium Double Room for an additional + $10.oo per person per night. Bright, breezy rooms with 2 Double Beds. Each room features a terrace or balcony with resort or garden views. 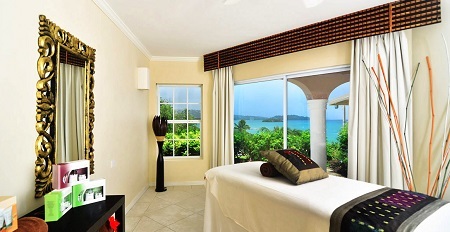 Upgrade to a Deluxe Ocean View Room for an additional + $30.oo per person per night. 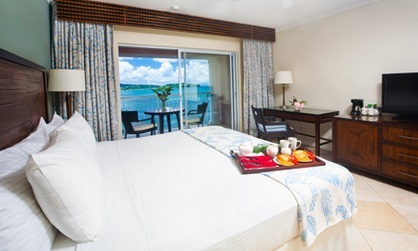 These terrific hillside rooms feature upgraded furniture and décor, with a King Bed and panoramic views of the Caribbean Sea, the resort and the sparkling lights of Castries in the evening. 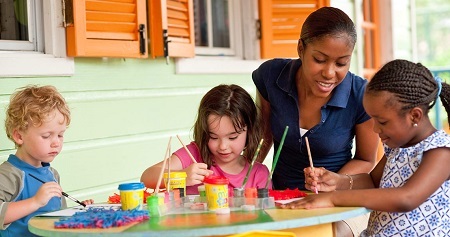 Our All-Inclusive children's program offers many activities for potty-trained (and able to communicate) children ages 2 to 11 so you can have some time to relax and take in the tranquil St. Lucia surroundings, or have a romantic evening together. Children Rates will only apply when sharing room with 2 adults, when sharing with 1 adult the first child will pay as a the second adult for double occupancy and the child rate will apply to the 2nd child. Third Guest in a Premium Double Room only, third person will be accommodated in March 1 - April 6 for $125 per night; April 7 - December for $105 per night. Single Supplement: Offer is based on double occupancy but a single supplement of $150 per night is available for those traveling solo. * Stay a minimum of 2 nights or up to 21 nights as desired and based on availability. Tax and service charges of $49.00 per person per night additional. Offer is based on availablility.